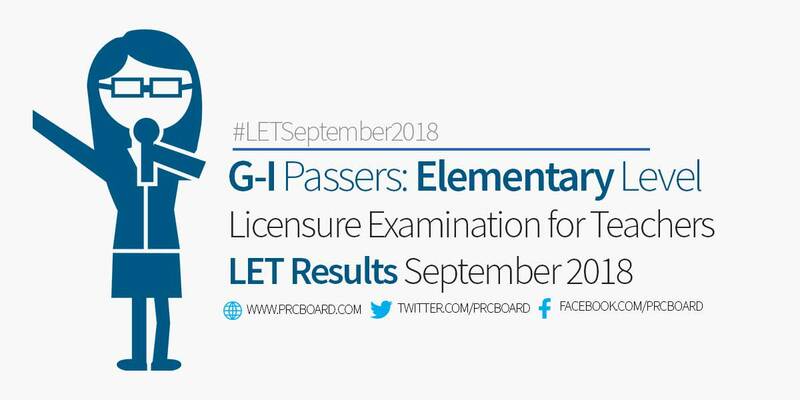 Below is the list of passers for September 2018 LET (Elementary Level) with surnames starting with letters G-I. I am waitng for the result what time kaya? Anung oras po ngayon lalabas ang result? Ano ba??!! Kelan ba maglalabas ng results. Naranasan nyo naba maghintay ah PRC?! please grant my birthday wish for Racel M. Gagatam, oh Lords. she needs your help! what time po ilalabas ang result? Excited ako for all the examiners... Good luck!